Taste the world on a plate – Love Food Fest is back! 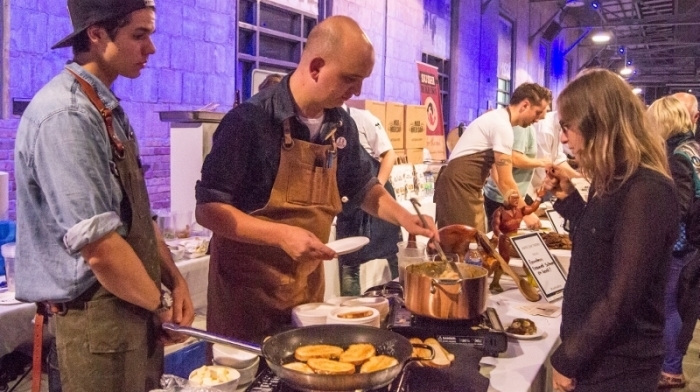 Featuring more than a dozen talented Toronto chefs and 8 craft breweries and wineries, this evening of unlimited food, fun, and drinks helps support Action Against Hunger’s fight to end hunger. You can give hope to children around the world. Purchase your tickets at the early bird price and you’ll be entered into a draw for your chance to win a trip for two to Montreal! Eligible ticket buyers to Love Food Fest will receive (1) entry for each ticket purchased through eventbrite.com, lovefoodgivefood.ca or actionagainsthunger.ca (each and collectively, the “Official Website) or by phone. One grand prize to be won consisting a vacation package provided by VIA Rail Canada and Sofitel Hotel with a value of $1630. Odds of winning depending on number of eligible entries received. Must correctly answer a skill-testing question to win. Contest closes September 18, 2015. Click here to see full contest rules.